From Retirement In Israel, Bataclan Ex-Owner Recalls Better Times Joel Touitou Laloux's Tunisian-born, Jewish father bought the Bataclan concert hall in Paris in 1976. Laloux managed the venue for decades until September, when it was sold. Joel Touitou Laloux's family owned Paris' Bataclan theater from 1976 until last year, when the performance hall was sold and he retired to Israel. 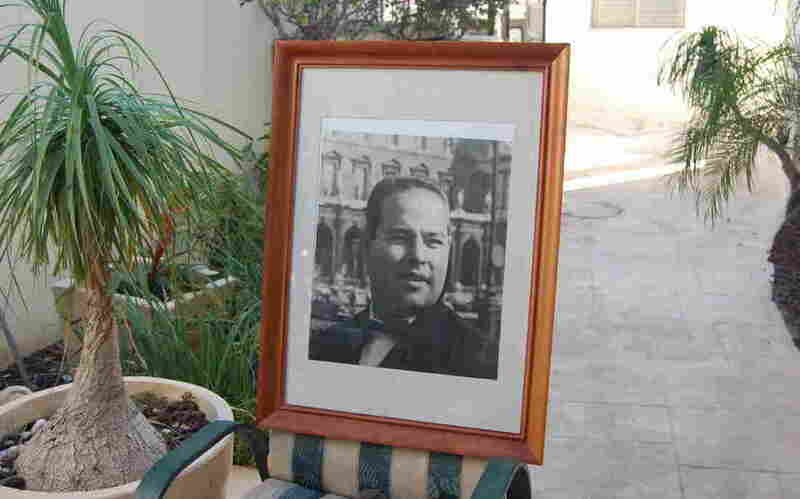 He's shown here on Nov. 18 at his home in the Mediterranean coastal city of Ashdod in southern Israel. When his cellphone rang Friday night, on Nov. 13, Joel Touitou Laloux didn't answer. The sun had long since set, the Jewish Sabbath was under way, and he doesn't use electronics on Shabbat. He recognized the number. One of his sons was calling from Paris. 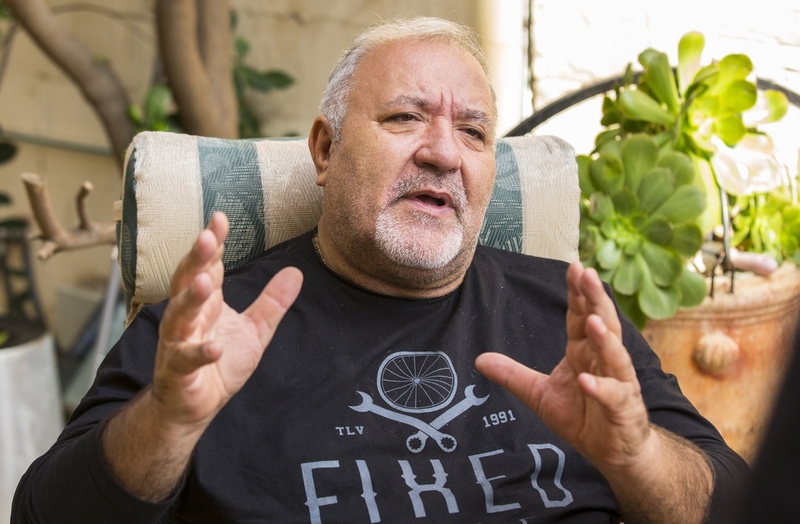 Laloux, who managed the Bataclan theater for decades until he and his family sold it in September, now lives in Ashdod, a coastal city in southern Israel. Finally, after his son's number flashed three or four times, Laloux answered. "I take the telephone and said I hope it's important," Laloux, 63, recalls, sitting in the garden of his villa home. He shudders a bit and adds softly: "Wow. Of course it's important." His son was safe, but had heard about the attack at the theater and wanted his father to know. The next call came from a friend and former colleague, still inside the Bataclan as the carnage continued. Laloux switched on the TV. "I didn't understand what's happened, really," he says. "I switched off the TV. I had to think." Although Laloux's formal connection to the Bataclan theater ended with the sale, his Jewish family's decades there weave a thread into the rich tapestry that is Paris. His father bought the venue in 1976. Laloux is one of 10 children of El Kahlaoui Tounsi, a once-renowned singer and percussionist. Born Elie Touitou in Tunisia in 1932, as El Kahlaoui Tounsi, he traveled and performed with French, North African and international stars, appeared in more than a dozen films and worked with composers including Michel Legrand and Vladimir Cosma. He moved his family to Paris when Laloux was a baby and bought businesses: three recording studios, his son says, and two theaters — the Bergere Palace as well as the Bataclan. He started his own record label, Dounia, which signed Arab artists as well as Jewish transplants to France. "El Kahlaoui Tounsi and Dounia," writes Chris Silver, a history Ph.D. candidate and music blogger, "gave a voice to some of the best North African artists of the 20th century when few others would." El Kahlaoui handed the keys to the Bataclan to his son when Laloux was 22. "He said, 'Joe, you have to [run it]' because every night he wanted to go to some gig, gala, and he was not here," Laloux remembers. "We made at the beginning some private galas, lots of bar mitzvahs, and little by little I made the Bataclan one of the most famous music halls of Paris." The day after the Paris attacks, a video circulated of about 10 men, their faces hidden by black and white checkered scarves, appearing to threaten door staff at the Bataclan. They were angry the theater was holding a fundraiser for a French Jewish organization that supports Israeli security forces. "Next time we won't be coming here to talk," one of the masked men says. The footage is said to have been filmed in 2008. I have to ask permission of Islamists every time I want to produce an Israeli singer ... ETA if it's a Basque singer ... the IRA if it's an Irish group? No. It's my program. And if anybody doesn't want to come see it, you know, don't come. Laloux says he'd never seen the video or heard of the visit from Bataclan staff. He dismisses it as a publicity stunt. He says it is dangerous to believe the theater was targeted because of the fundraisers or its long Jewish ownership. "I think that's dangerous because people can [think], Oh, it's not against the Occident," he says, using a once-common term to describe Western countries. "It's not against France. It's against this place because they are Jewish ... oh, now we understand." He believes the attackers simply wanted to kill as many people as possible. Laloux does say many event producers in Paris get emails complaining when Israeli artists are booked. But he says he never cared. "I have to ask permission of Islamists every time I want to produce an Israeli singer ... ETA if it's a Basque singer ... the IRA if it's an Irish group? No. It's my program. And if anybody doesn't want to come see it, you know, don't come." Israel has encouraged French Jews to emigrate, suggesting they are not safe in Europe. Laloux says he retired to Israel rather than another warm country because it was a way to support Zionism, but not because he was fearful in Europe. And, like his father, he remains a passionate fan of Arabic music, history and art. "Arabic culture is fantastic," he says, noting the wonders of the court of Harun al-Rashid, the 8th-century Abbasid caliph, and naming his favorite singer — "the singer I listen to when I'm alone" — as the late 20th-century Lebanese icon Wadih El Safi. "I like music. I like [poetry]. I like everything [that] is Oriental culture," he says in his garden. "I learned to read and write in Arabic." "The politics is another thing."